Many Irish people love the idea of a second Brexit referendum which would ideally reverse that result of June 23, 2016, and magic all our economic woes away. And now the UK Labour leader, Jeremy Corbyn, is talking more solidly about the idea - but there are a number of serious impediments to such a vote happening, and the result of any such rerun would be very uncertain. Yet another crazy week of Brexit melodrama beckons, 11 days and counting, from that Brexit deadline of March 29. Theresa May's fate is increasingly coming to resemble that of the fabled King Sisyphus in Greek mythology. For his sins of greed and treachery, Sisyphus was condemned forever to roll a huge boulder up a hill. But every time he neared the summit, that rock would roll back down to the bottom. Thus the UK prime minister is expected to bid for third-time lucky, perhaps putting her unloved EU-UK divorce deal before parliament as early as tomorrow, if it looks like she might be able to reverse two recent heavy defeats. Two British government ministers yesterday warned that the vote will not be rerun at all unless it looks like it could finally be won. All eyes are on the Democratic Unionist Party (DUP), whose 10 MPs prop up Mrs May's minority government. If the DUP can be swayed, the theory goes, then a large number of Brexiteer Conservatives could be similarly won over. If Mrs May could somehow swing such a miracle, reversing a defeat by 202 votes on January 15, and a loss by 149 votes last Tuesday, then she would fly into Brussels on Thursday for another EU leaders' summit. If her deal was approved, she would merely seek a technical delay to the March 29 deadline, possibly until late May. If, as is more likely, her deal is still unratified, then this week's EU leaders' summit becomes far more complex. We're still probably talking about an extension - but the debate will be on whether it should be short or long. And so far opinion is divided. Last Friday, European Council President Donald Tusk suggested a longer extension, rolling everything into talks about the future EU-UK relationship after Brexit kicks in. It's an idea which might find favour in Ireland and among some other member states. But France and other elements within the EU Commission are very sceptical about the idea of a long extension. In fact, French President Emmanuel Macron has made it clear he will be challenging the UK to explain why there should be any extension at all. If it is for more of the same pointless disputation we have seen over the past two years, then it were better to have a crash-out Brexit sooner rather than later, the French president infers. 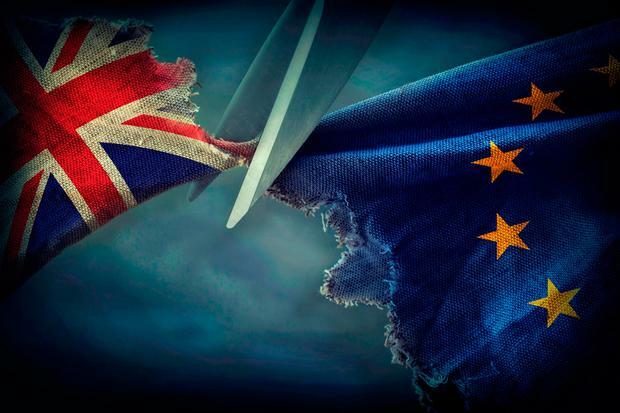 Other senior figures in Brussels reasonably argue that the only semblance of UK movement we have seen up to now has come on the back of an imminent deadline of March 29. Take away that deadline and we could well be back to sclerosis. It's hard to discern the mood across all 27 capitals, but all will soon be revealed because any extension beyond March 29 requires unanimous approval. Last week the Dutch foreign minister said he would take "a benevolent view" of what Mrs May was seeking. Austrian Chancellor Sebastian Kurz said there could only be a short extension. German Chancellor Angela Merkel avoided committing to a short or long extension. There was even a mischievous suggestion that arch-Brexiteers in Ukip might use their links with far-right elements in the Italian government to put the kibosh on any extension, allowing a crash-out Brexit to happen. But even by their standards, that seems a bit of a stretch. What has to be pondered here is the fate of the European Parliament elections due to be run in the last week in May. Many EU leaders insist they must take place in the UK, something which would appear a nonsense if the UK is really leaving. Some EU leaders warn that the European Parliament will not be correctly constituted without UK MEPs. That, in turn, would risk the validity of all EU decisions being called into question. Others, including the European Parliament's own lawyers, believe this obstacle can be got around. But it is a very important issue. Meanwhile, back in Britain the prospect of another EU referendum has again, as we have noted, raised its head. The Labour leader has written to MPs trying to end the parliamentary deadlock. It has now emerged that Labour is ready to throw its support behind a bid to hold a referendum on Mrs May's deal later this week. Mr Corbyn told Sky News yesterday the party will probably back an amendment by two Labour backbenchers which would allow Mrs May's deal through parliament in return for putting it to a public vote. But Mr Corbyn would not say how he would vote in any referendum, saying it would "depend" on the deal on offer. The move could play to Mrs May's efforts to scare the Brexiteers in her party into backing her deal or risk a long delay in which Brexit could be lost altogether in the future. It is clear we are still some moves away from a rerun of the Brexit referendum. But just suppose for a moment we did get promptly to that point. How would it fare? Well, the 'Guardian' news service published an opinion poll on Saturday which showed just how divisive the idea of a second vote would be. It showed that exactly the same number of people, 43pc, both favoured or disapproved of the idea of another Brexit referendum. But the poll did also show a convincing 46pc to 36pc in favour of the UK staying in the European Union. A large number of people, 43pc, were against the idea of holding European Parliament elections in the UK in May. But interestingly, despite all the parliamentary chaos over Brexit, the Conservatives, on 38pc, are ahead of Labour, on 34pc. And Mrs May is 11 points ahead of Mr Corbyn in approval ratings. None of those findings suggest a cut and dried way forward out of this Brexit morass. And we face another defining week when things could wind up just about anywhere. The prospect of an early election, or the abrupt departure of Mrs May, cannot be ruled out. The one hope all Irish people will cling to is that a no-deal Brexit in 11 days' time is most unlikely. It is true that we in Ireland successfully reran and reversed the result of two EU referendums, in 2002 and 2009. But the circumstances were rather different and there has been no residual division in Irish society about it. What is very clear is another referendum is most unlikely to resolve the divisions in English society, especially over the country's relationship with the EU. A second referendum, even if did back Remain by a large margin, would lead to calls of "best of three" and the Leavers would immediately go back to campaigning. A soft Brexit would be a better outcome.